Pharmacy technician programs prepare adults to become part of one of the fastest growing careers in healthcare. 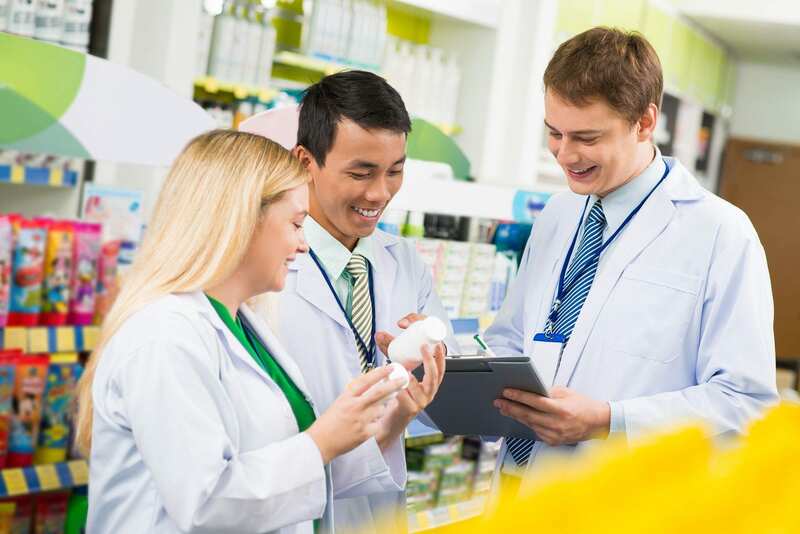 With proper training and certification, you will become a valuable asset in retail/community pharmacies, hospitals, clinics and other facilities that distribute medications and healthcare products. Pharmacy technicians hold a central role in the pharmacy operation. As an intermediary between the physician and the pharmacist and the patient and the pharmacist, they receive prescriptions and other vital information that are essential to the patient’s health. They compound and distribute drug products and maintain patient records. General duties include packaging and labeling prescriptions, counting tablets and measuring the amounts required for prescriptions, receiving and updating inventory, processing insurance claims, answering calls, and assisting customers. A job as a pharmacy technician requires accuracy, so an ability to perform math functions is critical to patient safety and the prevention of medical errors. Other essential traits include compassion, flexibility, attentiveness, and commitment. 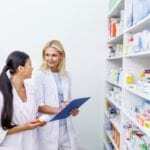 Newly licensed pharmacy technicians may find employment in various practice settings, including long-term care facilities, in-home health care, community pharmacies, hospitals, and correctional facilities. Students enrolled in the pharmacy technician program at McFatter Technical High School learn the skills that will prepare them for employment in a community or institutional pharmacy. Throughout the program, students learn how to fill and label medications, manage inventory, maintain patients’ records, calculate unit doses, use medication distribution systems, and assist customers. Course topics include but are not limited to pharmacy kinetics, pharmacology, pharmaceutical calculations, pharmacy law, and aseptic techniques. In addition to classroom study, students will also participate in clinical experiences in community and hospital pharmacies. Graduates will be prepared for success on the Pharmacy Technician Certification Exam (PTCE) for registration by the Florida Board of Pharmacy. The program admits students in the eleventh and twelfth grades. Atlantic Technical College’s pharmacy technician program covers 1050 hours of classroom lectures and clinical experiences in approximately 10 months of full-time attendance. Students learn how to perform tasks related to the receiving and distribution of medication. Graduates of the program will receive an Applied Technology Diploma (ATD) and will be prepared for success on the PTCE. Classes meet Monday through Friday from 7:05 am to 1:50 pm. Course topics include clinical pharmaceutical procedures, anatomy and physiology, communication and interpersonal skills, inventory management, IV preparation, infection control procedures, CPR, BLS Healthcare Provider, medication delivery, employability skills, medical terminology, HIPPA, legal and ethical responsibilities, pharmacy terminology, and pharmacy law. Other topics include record keeping, pharmacology, pharmaceutical compounding, safety and security procedures, purchase orders, and prescriptions. Tuition for the program is $3,303. Books and supplies cost an additional $396. The pharmacy technician program at Concorde Career Institute equips students with the theoretical knowledge and practical skills to function as competent entry-level pharmacy technicians. Experienced instructors prepare students for success on the Pharmacy Technician Certification Examination. The hybrid program gives students the opportunity to complete the theory online, and laboratory classes are completed on campus. Students must complete a total of 180 theory hours, 192 lab hours, and 320 externship hours. The program requires completion of 21 semester credit hours. Course topics include an introduction to pharmacy practice lab, pharmacology lab, compounding and aseptic techniques, pharmacy terminology, pharmacy law and ethics, managing inventory, and insurance and billing. The program is designed to be completed in 24 instructional weeks. Submit a completed application and pay the registration fee. Tuition and fees cost $13,320. The emphasis of the pharmacy technician program at Barry University is to prepare students for success on the National Certification exam. The curriculum covers 72 hours in 12 weeks to prepare students to become a Certified Pharmacy Technician. It includes lectures, interactive exercises, quizzes, and assessments. Course topics include controlled substances, prescription processing, the role of the pharmacy technician, patient interaction, pharmacy math, patient privacy, the dispensing process, principles of managed care, basic anatomy and physiology, and basic pharmacology. Other topics include drug and medical terminology, unit dose and drug repacking, frequently prescribed medications, unit dose and drug repacking, and state law review and discussion. Tuition for the program is $1,450 and includes the required textbooks. McFatter Technical College’s pharmacy technician program teaches students the essential skills to work alongside pharmacists in retail or institutional pharmacies. They learn how to fill and label medications, manage inventory, maintain accurate medical records, and assist customers. Course content includes unit dose calculations, aseptic techniques, sterile IVs, medical and pharmacy terminology, pharmacy law and ethics, the role of the pharmacy technician, and pharmacy operations. For the hybrid program, students will complete the theory online and complete the lab requirements on campus. The clinical experience will be conducted under the supervision of a licensed pharmacist in both retail and hospital pharmacies. Students must complete the 1050 hours in 10 months. Classes meet Monday through Friday from 8:00 am to 2:30 pm. Graduates are eligible to take the Pharmacy Technician Certification Exam (PTCE) for registration and licensure by the Florida Board of Pharmacy. Tuition for the program is $3,321 for Florida residents. Books and supplies cost an additional $340.